Water is one of our most precious natural resources, and it shows in how we use it as well as what we pay for it to be piped into our homes. Unfortunately, all too often it’s necessary to use fresh water for things like watering our lawns and gardens. 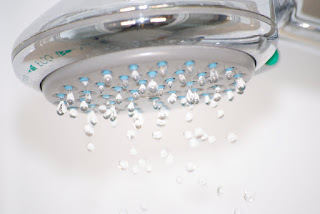 During the summer months, this can make that water bill much higher than it might be otherwise. Repurposing the gray water in your home is a great way to save money on your water bill, have a great-looking yard, and cut down on fresh water waste, as well. There are two types of wastewater that can be repurposed in your home that otherwise are either carried away with solid wastes or are lost to runoff. Bear in mind that these do not include the water from your commode. This is what is commonly referred to as “black water.” The water that can be repurposed is what is called “gray water.” The difference is simple. Black water is water that contains human waste. Gray water, on the other hand, is water that is used for purposes such as washing dishes, laundry, running water in the sink, and bathing. This is where a vast majority of your water goes. Re-using this water involves capturing it and storing it, then using it in place of your landscape watering. It can also be used to flush commodes, reducing your fresh water needs even further. It is necessary to have a professional plumber perform the work on your home if you intend to have your gray water used for landscaping. While the project isn’t necessarily out of reach for a do-it-yourselfer, it’s generally easier to just have a pro do it. It’s worth the extra investment in your time and sanity. You’ll need a holding tank, pump and the pipes to run, so plan on investing heavily at the outset. Several hundred dollars is the least you’ll end up spending. The second type of wasted water around your home is runoff. This is the water that doesn’t soak into the ground during a rain storm. It is diverted off your lawn and into sewers or drainage ditches. While the actual rain from your lawn might be a bit hard to catch, the water that runs off your roof isn’t. It’s already channeled into a set of downspouts. To collect the runoff, all you have to do is install rain barrels at the bottom of the downspouts. This water can be used for a number of different things. You can use it to water your lawn or gardens, but did you know that you can purify this water with filters and drink it? In fact, some countries have enacted laws that mandate that all new buildings being constructed must be fitted with rainwater reclamation systems. Some even go so far as to bottle rainwater in certain areas for sale in urban centers where clean water can be difficult to find. Beyond the environmental concerns behind having your own water reclamation system in place and not wasting water, you’ll find that filtering and saving your own water will greatly reduce how much your spend annually on your water bill as well as on bottled water. Is it worth the expense involved in setup? That depends on a variety of factors, not least of which is whether or not you have a system professionally installed, and how involved that installation is. It also depends on what your current water bill looks like. If you’re paying more than $100 per month for water, and much of it goes to landscape watering, It could be worth the investment, particularly seeing as you can plan on spending at least $36,000 on water over the course of a 30-year mortgage.